Trident-shaped, this gleaming white powdercoat Freestanding Ball-End Rack for Shopping Bags is offered to customers upon entry. Safety Ball-End tips reduce any hazard presented by the arms, through the square central upright then appears chopped off and unfinished. That central upright would be a good place for a sign holder … either calling attention to the Carries or promoting a product. When outfitting, don’t miss multi-use opportunities like this. 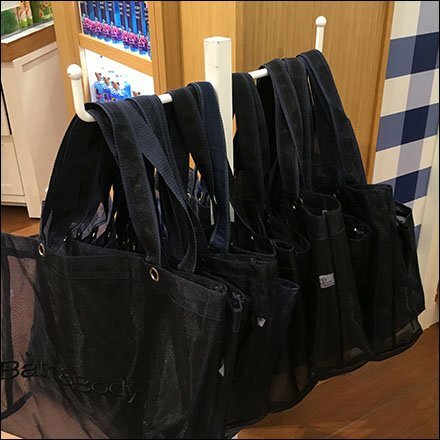 Scroll down for other shopping carry and bag fixture ideas.